South Korean President Moon Jae-in and US President Donald Trump will meet on the sidelines of a Group of 20 summit in Argentina this week, the White House said Tuesday. 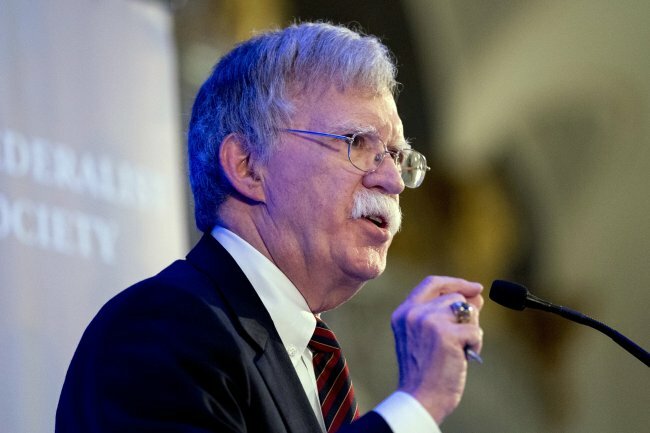 Moon is among several leaders the US president plans to meet during the two-day summit starting Friday, US National Security Adviser John Bolton said at a press briefing. The two leaders last met on the sidelines of the United Nations General Assembly in New York in September. North Korea is expected to top the agenda of the upcoming talks amid stalled progress on dismantling the regime's nuclear weapons program. Kim committed to the "complete" denuclearization of the Korean Peninsula during his three meetings with Moon and one meeting with Trump this year. But no formal negotiations have happened between Washington and Pyongyang since their summit in June, and a high-level meeting planned for earlier this month was abruptly postponed. South Korea and the US launched a working group last week to better coordinate their efforts to denuclearize the North and bring lasting peace to the peninsula through increased cross-border exchanges. Trump has said he still expects to have a second summit with Kim early next year.